Virginia Tech is committed to equal opportunity in employment and education for individuals with disabilities and complies with the Americans with Disabilities Act (ADA), as amended, the Rehabilitation Act, as amended, and other state and local laws that apply to individuals with disabilities. The director for ADA and Accessibility Services, Pamela G. Vickers, is the university’s ADA and 504 coordinator, and provides oversight of the employment accommodation process, physical accessibility, and programmatic accessibility for employees, students, and visitors. 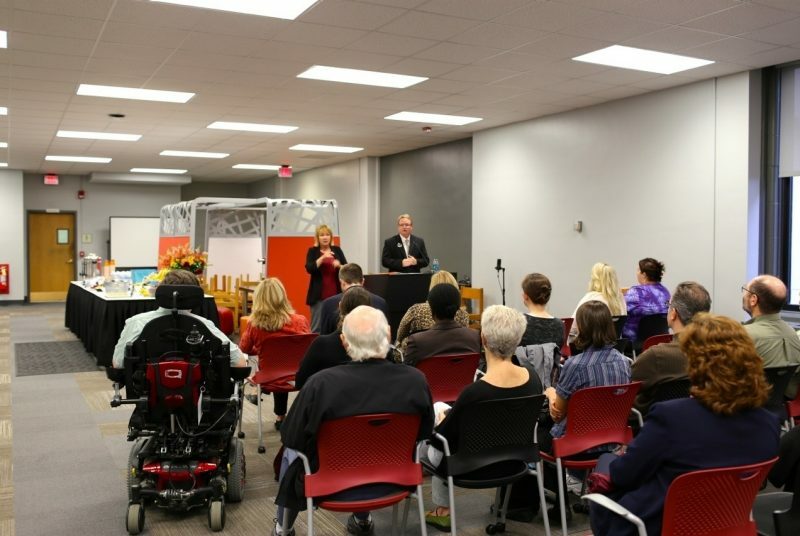 The ADA provides protection from discrimination for individuals on the basis of disability. The Americans with Disabilities Act extends civil rights protection for people with disabilities to employment in the public and private sectors, transportation, public accommodations, services provided by state and local government, and telecommunications services. In addition to physical accessibility, the Americans with Disabilities Act mandates programmatic accessibility including electronic media and web pages. The ADA states that no qualified individual with a disability shall, on the basis of the disability, be excluded from participation in or be denied the benefits of the services, programs, or activities of a public entity, or be subjected to discrimination by any public entity. The ADA requires public entities to make reasonable modifications in policies, practices, and/or procedures when the modifications are necessary to avoid discrimination on the basis of disability, unless the public entity can demonstrate that making the modifications would cause undue hardship or fundamentally alter the nature of the service, program, or activity. Under the ADA, an “individual with a disability” is defined as any individual who has a physical or mental impairment that substantially limits one or more major life activities; or has a record of such an impairment; or is regarded as having such an impairment. Employees (including students in workplace settings) who require an accommodation should contact ADA and Accessibility Services. If you are an individual with a disability and require assistance or accommodation in order to participate in or receive the benefit of a service, program, or activity of Virginia Tech, or if you desire more information, please contact the sponsor or organizer of the specific service, program or activity involved. Students who require an reasonable accommodation to participate in university activities should contact the Office of Services for Students with Disabilities here. Formal complaints of discrimination and possible violations of the Americans with Disabilities Act can be filed with the Office for Equity and Accessibility.